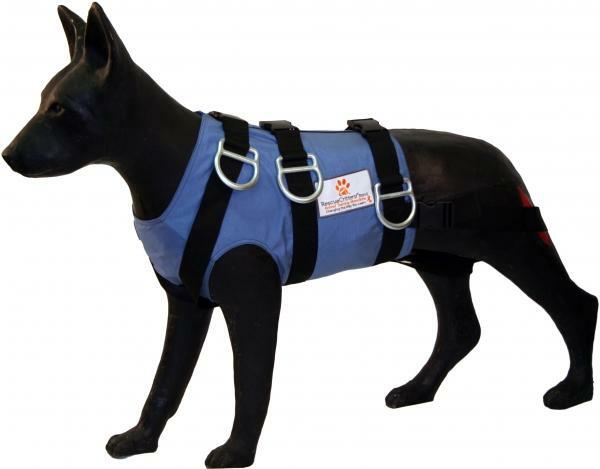 "Fetch" is a full size dog mannekin used to safely learn hands-on training of emergency search and rescue techniques. “Fetch” allows the practice of K-9 extrication of trapped dogs, swift water retrieval, and ice hole retrieval of trapped dogs. “Fetch” also allows police and military K-9 units to practice rappelling and the infiltration of critical areas with complex geography with K-9 officer and K-9 partner together working as a team. The specially designed harness is made to allow “Fetch” to be lowered, rappelled, cast, and retrieved in training. “Fetch” is available without the vest for a reduce price. Please ask for details. Medium: Mannekin Price: US$2,689.00 (item #920). Note: 1. 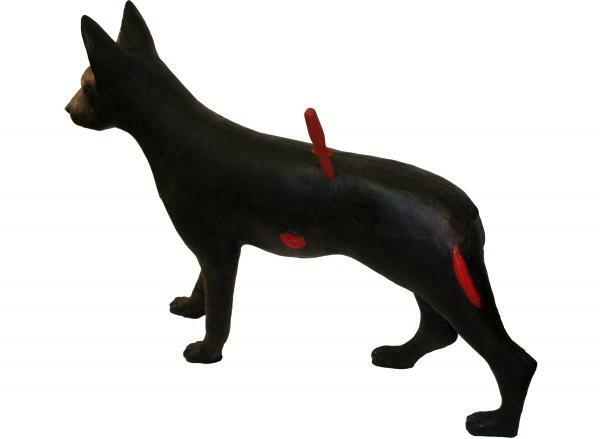 All "Fetch`s" now come with bullet entrance wound, bullet exit wound, and laceration included. 2. Impaled knife wound. Knife is removable and included. Also additionally can be bought at US $40.00 (Item#920D).